Question of the Week: If you could have any job within the beauty industry, what would it be? Sarah's Answer: I'd love any job working for a major nail polish brand, but I think it would be amazing to be on the OPI or China Glaze polish naming team. How much fun would that be? Plus you'd have all the inside scoop on upcoming collections and collaborations! Nouveau Cheap - Can Dr. 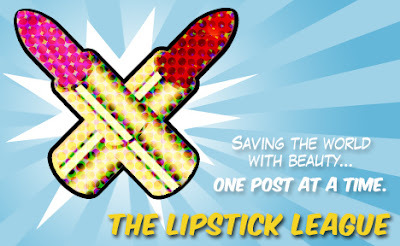 Rescue, the newest member of the Maybelline Baby Lips family, truly rescue my sad, chapped lips? Come find out. Pink Sith - becomes an Ingredient Detective and tells you all about the chemical Triclosan and why she is avoiding it at all costs. Prime Beauty - takes a look at the Laura Mercier Holiday 2013 Collection and likes what she sees! we heart this - is feeling like a regular Picasso thanks to the MAKE UP FOR EVER Artisan Brush Collection. Beauty Junkies Unite - Amber shares the review & swatches for the new OPI Mariah Carey holiday collection for 2013! Chalkboard Nails - Are you a fan of Wicked? Deborah Lippmann is too, and created this set of three mini lacquers to celebrate the show’s 10th anniversary! Clumps of Mascara - ran into an amaziiiing mascara. And it ain’t cheap but WHOA, it rocks. EauMG - is obsessed with this limited edition shower gel by LUSH and wants you to be obsessed too. Gouldylox Reviews - I love makeovers! You must see the before and afters on the lovely Chelle. She'll make a beautiful bride! My Beauty Bunny - Lilly Brush has teamed up with a few of our favorite beauty bloggers for their biggest giveaway yet! Click on over and enter to win $250 and two Lilly Brushes! Guest Post of the Week, as chosen by Nouveau Cheap - I love it when beauty bloggers show me new and exciting ways to use products I’ve owned forever. That happened this week when Ashley over at Pretty Pisces Beauty rocked a shade from the Wet n Wild Comfort Zone palette in a really beautiful way (I’m totally stealing this, Ashley). I just wanted to say that I really enjoy your blog! Keep up the great work.